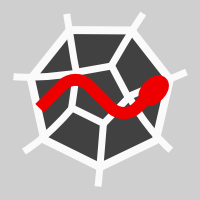 "Spyder - the Scientific PYthon Development EnviRonment"
It is free and opensource. It has a powerful auto-completion. It has variable explorer tab which help you to see values of all variables used in code. Github binding is good .it has cross platform support - Linux, Mac, and Windows10. Very slow in all platforms especially in windows 10. Takes some time to startup.It consumes lot of memory. If you are machine learning and artificial enthusiast go for spyder IDE. it is not for web application development using python. It is very helpful in plotting graphs for visualization of data inside console. If you are completely new to python and want to learn python start with this IDE. I have done projects related to Machine learning and Artificial Intelligence and completed assignments in python using python. It is very useful for the machine learning tasks and data visualization tasks. "One of the best Python IDE"
There is nothing much to dislike about it, it is simple and easy to use. But I usually don't prefer this for big projects. Best using spider as educating the students, almost every facility whatever is needed for teaching is available which make teaching environment healthy and digestible to learners like viewing variables, values, code, file exploration, project settings, program output, interactive output like ipython within the consoles, etc. In short i will say that its very good IDE for working with Python, very friendly working environment, all aspects are covered in a simple way, feel you relaxed while working in highly complex languages e.g. : Python, etc. Once you change your machine then it seems difficult to export each and everything seamlessly form one machine to another is missing which obviously needed to add value regarding portability, similarly visualization component should be the part of the same product unlike separate tools such as glue, etc., and on the other hand it take much time to load in memory. Debugging which is extremely difficult in python should be intelligently handled to make this more effective. "Best IDE in Python for Machine Learning"
Spyder is Best IDE in industry for machine learning using python.It have variable explorer and help area. this helps user to check variable values.Works in distributed environment also.It provides many libraries and modules for machine learning.Provides best debug facility for debugging and solution..Provides user friendly user interface for installing libraries and modules.Spyder is also can be used with PyQt5 extension library. Best part of this software is that it is opensource. Startup takes lot of time in MacOS and Windows 10. Ram usage is very high.Comparatively provides less user interface themes. If you are ML/AI enthusiast then start your journey with this software. Newbie in Data science can use this software and develop very interesting projects. Nowdays Most of Data scientists use Spyder for the development. Spyder provides best debug facility by step and by module.Provides very easy installation process compared to other IDEs. You can use this software for the Image processing and Video processing.You can use this software as primary IDE for the data science and Machine learning.If you are switching from Matlab or Rstudio to Python the this is the best IDE. It also works with Python2 and Python3. I have used complex machine learning libraries for my projects.I am solving real world problems related to machine learning and data visualization using python. I have used spyder for image processing and video processing with help of Opencv. Built some scripts using selenium for automation. I have used this for building academic project i.e. Obsatcle detection in Railway track. and of course for learning python from start. I really like the interface. It provides both the usual IDE where one can code and run whole at once as well as the interactive one and the best thing is the variables are shared which makes debugging easy and comfortable. Also there are various setting we can use the personalize the run time. For example there is a option where we can plot the graphs inline, which means no other window will pop-up but everything will be visible in the console. I prefer only and only spyder IDE for my python coding and am happy that I have never tried any other IDE. Happy with the experience would continue using it. No Dislikes! It is much easy to install wen compared to other IDE. A simple pip command will do. It is much more interactive and provides various functionalities which others don't. I recommend everyone to use it, I bet you won't switch! A developer always need a IDE to code and debug it. We at Easesolutions Pvt. Ltd. have to work so much on python as we are more involved in Data Science. Most of the developers use it. As it is easy to install (only a pip command) and more comfortable to use than other IDEs. I have heard and even experienced that it is the best IDE for Data Science. "One stop-shop for all things Python!" 1. Simple UI - Everything is available at your fingertips and is exactly where you would want it to be. 2. Instant console - See your project take shape live as you code! This is extremely helpful during long debugging sessions. 3. Ease of use for beginners - Even a beginner to Python coding would immediately get used to how easy the platform is. The only thing I dislike about Spyder is the load time in the beginning. It simply takes forever, often leading me to doubt whether my own computer has frozen (and my computer is pretty powerful). However, this might just be an issue with my system. If you don't already, just try it, you probably won't switch back. I use Spyder to develop and test code snippets for various projects within the organization that are built in Python. "A great tool to run your python files"
1. Ease of running scripts and visualising the output all on one screen. 2. Being part of the anaconda UI, user doesnt have to explicitly download spyder again. 1. Spyder UI varies slightly for WIndows and Mac users. A person accustomed to a windows machine would find it hard to navigate in mac sypder. For example, the file explorer option is a feature available explicitly for Windows user. 2. I am not a fan of the spyder workspace as it allows limited visual aid to read how the data gets manipulated. Frankly speaking i am still trying to still get use to the Spyder UI. Great tool to run and develop your python code. Spyder comes as part of the anaconda app, and is mainly used by users to develop and run the python scripts. "A complete IDE for programming in python"
Spyder is a very powerful Interface Development Environment (IDE) for programming using python. I use spyder inside anaconda for my projects. Spyder offers me an easy to use tool for my programs. I like the interface for editing programs, because: (1) it provides a big area for code, (2) it highlights different kinds of words such as reserved words, functions, comments, etc. (3) shows both syntax errors and warnings, etc. I do not like the fact that spyder does not show, by default, all the functions available in your own code. As a consequence, you have to search for the different functions by yourself. For example, it is not obvious how to use the debugger. Once you discover how to use it, it is powerful tool. On the other hand, I do not like the usage of memory of spyder. Spyder consumes lots of memory. In fact, you may have to reboot spyder in order to free some memory (even though you have collected not used memory). If you already have some experience using other Interface Development Environments, you may not have too much problems using spyder. However, I recommend you to follow some quick tutorials about the different features and posssiblitites. Besides, I recommend to have enough RAM memory when using spyder, because it uses a lot of memory. If you notice that your computer is getting slower, you should reboot spyder (it sometimes does not work to collect non used memory). I write all my python programs using spyder. It permits me to write fast code, as well as to test some commands using the terminal included in Spyder. "Great IDE for Python programming"
Spyder IDE is specially built for python programming for data analysis. It can integrate with many python libraries for data analysis and fitting the data to machine learning models. This IDE helps me write the code on the editor and simultaneously see the result on the console. Visualizing results is great. It also has variable explore where you get the clear picture of variables, its values, and their types. Line by line execution is difficult when compared to other IDE. The integrated nature of the python interpreter with the editor is great. I also like that you can get help on various functions at the click of a button. Sometimes when working with graphics the UI does not render images at all. I found this true when working with Tkinter. This is a great software IDE that is worth using. I am writing UI applications and also prototyping ideas. Often I use it in conjunction with Anaconda python (it comes distributed with Anaconda) to test out models for improving our automation process. ""Best IDE for python programming""
Best IDE to to start with and learn python from basic. Variable panel is amazing thing in which we can see all the variables values and even we can change them. Multiple IPython Consoles available. It also supports autocomplete feature. It is slower compared to other IDEs. Takes more time to load and startup. Other than that just amazing IDE. I believe that It will help any beginner who wants to go for Machine learning and Artificial intelligence. They can use spyder for development of Models and learning small projects. I have developed so many code snippets for my learning and developing mini projects dying my academic. I found that spyder helped me to learn python very well. I like the best in spyder is variable explorer tab. It shows all the variables type and value. It is best IDE to start with python. Auto completion and correction during programming is much better. It is very heavy for low configuration systems. sometimes while startup it crashes then again opens and required lot of memory. I suggest those peoples who are or want to go in area of machine learning and artificial intelligence they can start leaning python using this IDE and do some good projects using python. I did hands on projects for learning python and development using python.I found that spyder is best for beginner. The ide is a standard in the domain of scientific computing. It comes preinstalled with numerical processing package for python- anaconda. The ide has almost all the tools one could ask for scientific computing. It comes with a ipython like environment on the side. The graphs can be displayed in line which is a huge bonus if you aren't a fan of multiple tabs. The buttons and interfaces might look a bit outdated given the current trends in ui design. But one needs to give credit that it's open sourced. Further, it would be great to see an integration of a Matlab like processing tool ( octave in this instance) with the python environment to enable a truly cross platform , cross software scientific computing environment. Working on developing tools for processing slices during 3d printing. Worked on multiple open source projects for extending fea tools. "I am satisfied with the spyder." I think spyder is the best tool for data science project. I use it for training my network. Its come default with anaconda. So, installing packages are easy. Light tool and easy, user-friendly. That's why I recommend using it for data science projects. During long training session sometime it crashes. Debugging could have been better. And should have an option to run multiple scripts at the same time. Loading is also an issue. Though this cons I still like them too and use it for regular purposes. I am using this tool to train a convolutional neural network to classify images. This is part of my current research work. Benefits are already mentioned in the first section - easy to manage third-party packages, user-friendly, best-suited for data science project. It has the intractive console and provides the best development environment for python. verified to run on windows,linux and mac. i used in ubuntu, so for me it is very easy to install. i install in on anaconda. None, i can think of. one of the best IDE for me in python. If you want to do more hands-on on python, then spyder is the best one. You can also go for Jupyter. it gives modularity to code. Using python on daily basis for analyzing data and have used various plugings. "Spyder: An Interactive python IDE"
It lets you efficiently manage your code, view runtime variables, manage multiple files and plot graphs. The best thing is you can run portions of your code. I would definitely recommend using spyder if you are planning on developing in python. It's an incredible IDE and meets all the requirements. I am working on a research problem and towards that, I am trying to develop deep learning model using Python Keras package. "Would Recommend, Coming From A Beginner"
I love how when there is an error in your code it directly tells you which exact line it is. It limits the frustration of trying to figure it out. I however don't like that it won't specify the type of error it is. However for an experienced programer that shouldn't be much of an issue. It is a pretty great program and easier to use than a lot of other softwares. Also there is quite a bit of additional online resources to better help adjusting to it. Was able to create and run coding with little to no issue. "A powerful python IDE for scientific program developers"
I like the variable explorer on the right side of the IDE. It provides detailed inforamtion such as data type, dimension. This makes devloping complicated code involing image processing and analysis much easier as I am able to keep track of all the variables. The intellisense function is sometime unstable. Remote editting can be more polished. This is a great IDE for scientific program developers. I am constructing different architectures of convolution neural networks for automatic diesase reconginition and diagnosis. Without a doubt, this is the best IDE for python out there. This is especially true if you use Python for data analysis. This product reminds me a lot of MATLAB, but it is free and slightly more user friendly. One drawback for this amazing product is having to download the Anaconda environment to use Spyder. The IDE can also work a bit slowly sometimes even on high-end machines (this can also partly be attributed to Python). I use this product write scripts that analyze terabytes of data. The thing that i like the best in spyder software was easy debugging. We can reach to the exact error from the entire code very easily. Its interface should be much more attractive. There are business problems that can be solved.It is used for making different type of classifiers. "A good tool to deal with python"
it is a good IDE which provides easiness to deal with python. I have been using it quite a long time and there is nothing which i dislike. its a good IDE, one should try it. i have been using it for dealing with machine learning problems. it is a good IDE where i can write python code and solve different types of machine learning problem. "Spyder helps students learn to code in python"
It is an IDE so does not require running the code in another window (like terminal). It's pretty easy to navigate for new users. It is very slow to start up (especially on mac), and has a lot more features than you really need. It could be simplified greatly. It can crash intermittently. Teaching beginner programming students to code. I have realized that it is much easier for students to learn coding in an IDE, because learning a new text editor + how to run your code somewhere else can be daunting at first. It consumes a lot of RAM when we work on deep learning problems. I highly recommend this platform if you dont want to work on python console. "Best IDE to learn Python"
The interface is really neat and easy to use. You can run the python as the statement or as a program. It gives the freedom to use python based on the user choice. It highlights the error which makes debugging easy. It doesn't have a way to see the complete folder structure. If I want to work on the project then I have to remember the folder structure by myself. To teach python as most of the colleagues only know Java. Spyder provides a great platform to learn it. Very intuitive, user-friendly, lot of pre installed modules, easy to run python scripts, free of cost, available in Linux environment also. I do not have anything that I don't like. It is a perfect platform for python users. Please use it for creating python scripts. Writing a lot of python scripts as part of my work. Really helpful. I am creating a platform for professionals where business decision making will be simplified. "I run it through anaconda and it consumes tons of RAM "
* We monitor all spyder download reviews to prevent fraudulent reviews and keep review quality high. We do not post reviews by company employees or direct competitors. Validated reviews require the user to submit a screenshot of the product containing their user ID, in order to verify a user is an actual user of the product. Hi there! Are you looking to implement a solution like spyder download?